It’s fair to say that Respawn Entertainment’s unexpected announcement and subsequent guerilla launch of Apex Legends took many people by surprise. The news that it is entirely free to play as well has left a few people, myself included, a little dazed and confused. However, after getting stuck in it’s evident that Respawn has really paid attention to what makes the Battle Royale genre so compelling. Coupled with some sublime movement, a cast of interesting characters, and an arsenal of guns that feel great to use, Apex manages to feel both familiar and unique enough to draw some attention away from the likes of PUBG and Fortnite. Apex appears to be an amalgamation of critical elements cherry picked from the finest FPS and Battle Royale titles on offer today, but with enough new additions to capture the genre zeitgeist. It is a battle royale game where up to twenty teams of three are dropped into a map to scrap over loot as the play area becomes increasingly smaller over time, until one team is crowned the victor. It is also in part a Hero Shooter, with a cast of well thought out characters, or Legends, who each have a passive and active ability, as well as an “Ultimate” ability that takes a while to charge. The Legends form around broad class types that players will be familiar with – Bloodhound is a scout with an echo location ability that will send out a pulse notifying the team if an enemy is nearby, Gibraltar is a defensive fighter who can drop a bubble shield to protect himself and the team and an ultimate ability that will call down a mortar strike, whereas Lifeline is a support character who can deploy a healing drone. Each Legend feels slightly different to use, and complement one another in different ways so that no one class or character feels over-powered. 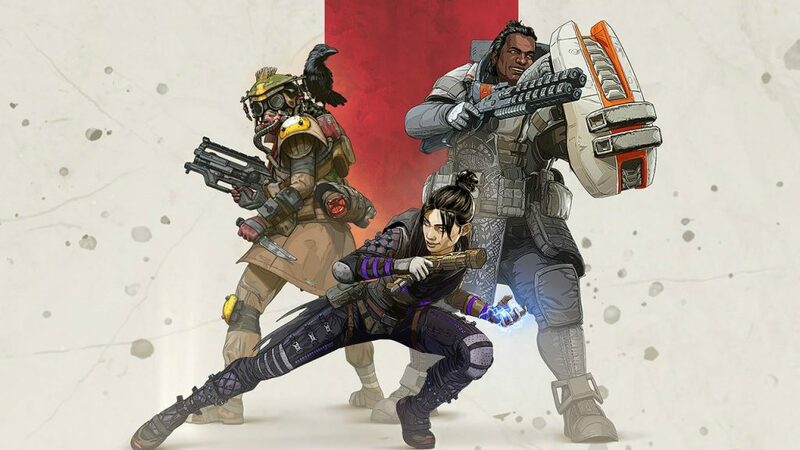 Teamwork is definitely key in Apex Legends, and there have been some interesting and deliberate design choices to ensure that. Before the game begins, each player in the team is assigned a turn where they will be allowed to choose their Legend. There is a limited window within which each player can choose before it moves to the next, and if you see your preferred Legend already taken you will have to pick another as there is no doubling up of characters. Once your character has been chosen a player is then selected at random to be the “Jump Master”. The jump master can control when and where the team lands with suggestive input from the other two players. Upon agreeing a location to land, the player in charge will launch the team as a whole toward the landing zone. At this point it is possible to break away and go your own direction, however your chances of surviving without your crew nearby are pretty slim. Once you are on the ground the familiar rhythm of searching for loot begins. The map is sectioned off into areas with some having higher tier loot than others, however there is a general feeling that in some instances the loot spacing feels a little sparse across all areas, and in some games it takes longer than necessary to find a weapon. Once you do though, each one feels great to use. Those familiar with Respawn’s excellent Titanfall series will already be used to the weapon types, but even if you aren’t, there is a handy colour code for each weapon and the ammo type it requires which means that you can very quickly understand which items in your inventory are useful to you or not. Elsewhere, loot is graded by tier with white being the lowest, moving through to blue, purple and orange, making the decision to pick up loot or not much swifter. 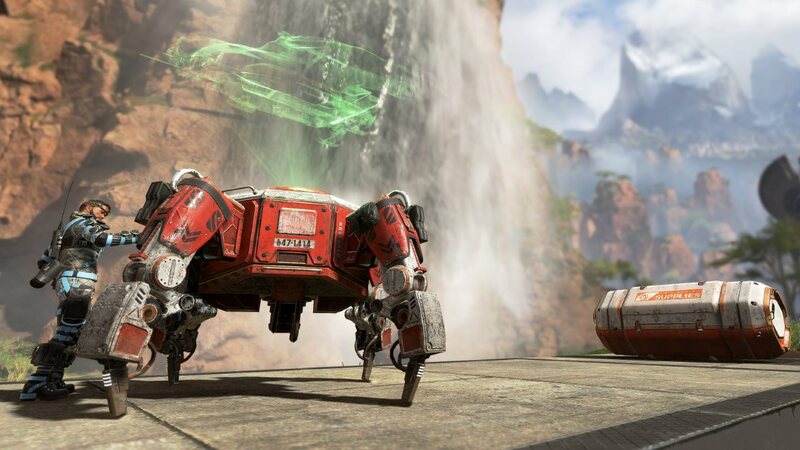 Speed is a key component of Apex Legends. The movement, while not quite as sublime as Titanfall 2‘s, still manages to feel fast and exceptionally fluid. There is no wall running or bunny hop, but the knee slide remains and is an essential feature for manoeuvring around the map at what feels like lightening pace. The map design itself is clearly geared up for this with extensive verticality coupled with, crucially, no fall damage, as well as slopes for gracefully and swiftly changing location. The action itself feels faster as well with very little time between enemy engagements, and even if your team is unsuccessful it isn’t long before you are launching into another game to try again. A key element of Respawn’s clever design is within the extremely effective ping system. With a simple tap of a button players can indicate locations to search or highlight specific items of loot without the need for voice communication. The communication tools also feature options for highlighting where enemies are as well as indicating which direction the team should be moving in. Voice communication is still key, but for those players where that isn’t an option for whatever reason the in-game systems are superb and help maintain the sense that it’s teamwork that wins the game. Apex Legends is a free-to-play title so there is a loot box system that rewards players with cosmetic items like skins for weapons and Legends, as well as title cards, voice lines and other things. “Apex packs” are awarded after each level up, but they can also be purchased via the console store. There also appears to be three different currency types: blue scrap that can be spent on unlocking weapon skins, a red currency which at present seems to be limited to unlocking one of the two locked Legends, and a gold currency called Apex Coins that can only be obtained by spending real money. Since launch there has been a suggestion that the ability to unlock everything just by playing seems to be capped at around level 40 with any remaining desirable cosmetics then requiring real money to purchase. Your mileage on how egregious this practice is will, of course, vary, however for me personally it doesn’t cause me any great consternation. 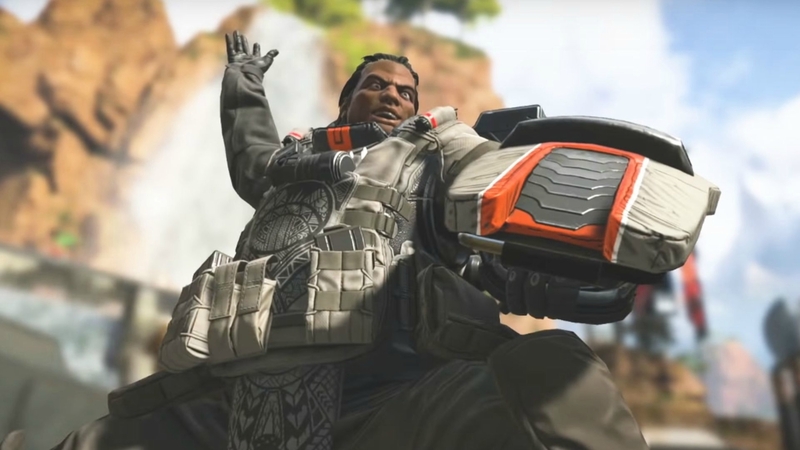 Apex Legends is a superb entry into the Battle Royale genre. The level of polish is astonishing for a free-to-play game, and it has a genuine shot at putting a dent in the genre leaders’ numbers. It features an interesting cast of heroes, tight, responsive gun play, smooth, joyful movement and a smart communication system. The speed of the play may well not convert fans of the more tactical PUBG, but it may be enough to draw some players from Fortnite and Call of Duty’s Blackout mode, particularly as it is so quick and easy to get into a game. If you haven’t downloaded it yet, I suggest you at least give it a try – it is free-to-play after all!